I admit this is a very confusing Chinese fonts. 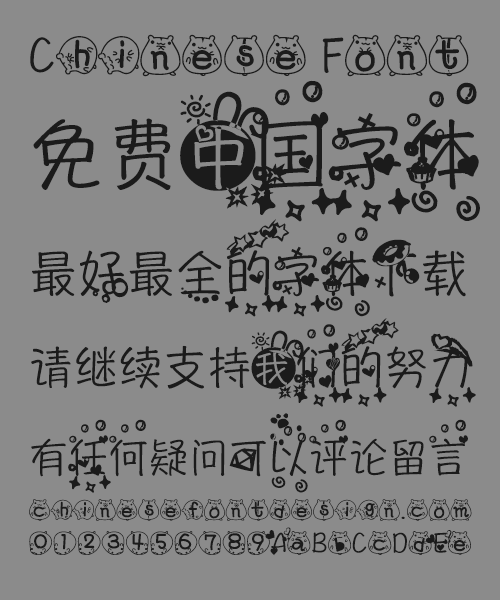 In this font, you can see the stars, bubbles, mice, rabbits, cakes, donuts, love, meteors, diamonds and so on. Is because it contains too many elements lead font dyslexia!